I love fitness & health. I GET Social Media. I am passionate about becoming part of the Bodybuilding.com team. Let's go. This resume format is a little different, especially the cheesey subheadings. It's only taken me 22 years of life and four years of college to realize-it’s OKAY to be different. Doing things differently means making boring things better. Doing things differently gets people to like you. Doing things differently for Social Media means standing out on a feed full of information. Hopefully this resume stands out in a stack. Bodybuilding.com changed my life. I graduated high school in 2012 and needed a change. Bodybuilding.com has been my bible for the past 4 years. I lost 35 pounds and gained something that doesn't show up on the scale-confidence. This May I am finishing school at Boise State, I will have a degree in General Business Management. School taught me a lot, but my internships taught me more. This resume mainly points out my experience as a Marketing Intern at The Grove Hotel. They gave a college student a lot of responsibility to help manage their social media presence-for that I am pretty grateful. I learned that social media isn't easy, but that's what makes it fun. Everyday is a challenge to be the best face of the company you can be. But, it's a little bit easier when you really, really like the company's face. Collaborated with marketing team to create a cohesive & strategic year-long social media strategy. Mined competition profiles to curate lists that sparked ideas for creative, innovative, and engaging content. Managed a consistent and engaging corporate presence across all platforms (Facebook, Twitter, Instagram, Pinterest, LinkedIn, Google+, Yelp, & TripAdvisor). Demonstrated working knowledge of "best practices" to apply to each account to include: timeliness, demographics, audience, frequency, and content-type. Gained familiarity with metrics used to manage social media presence such as: conversions, impressions, engagement, & reach. Utilized various applications such as: Hootsuite, Planogram, Pixifly, Crowdfire, to streamline content execution and manage followers. Assisted in integration of the project management tool "Trello" to help the team prioritize and organize major projects. Used Adobe Creative Suite to edit photos and produce graphics for use on Social Media. Gained insight on how a global industry leader runs and operates a business from the strategic level down to frontline employees. Learned the integral role of customer facing employees in the hospitality industry. Prepared a business strategy presentation as an element of the internship program that identified and solved a current issue in business processes. Gained critical sales process knowledge: need recognition, solution, close, deliver & follow-up. Worked in conjunction with vendor accounts to build relationships and loyalty. Improved communication skills by streamlining phone-call conversations and improving problem-solving strategies. Fall 2015 COBE Signature Student-"A COBE Signature Student has: A Passion for Learning, Effective Communication, Critical Thinking, Ethical Behavior, Strong Leadership, & Community Engagement. This award is given to one-two exceptional students per program twice a year." 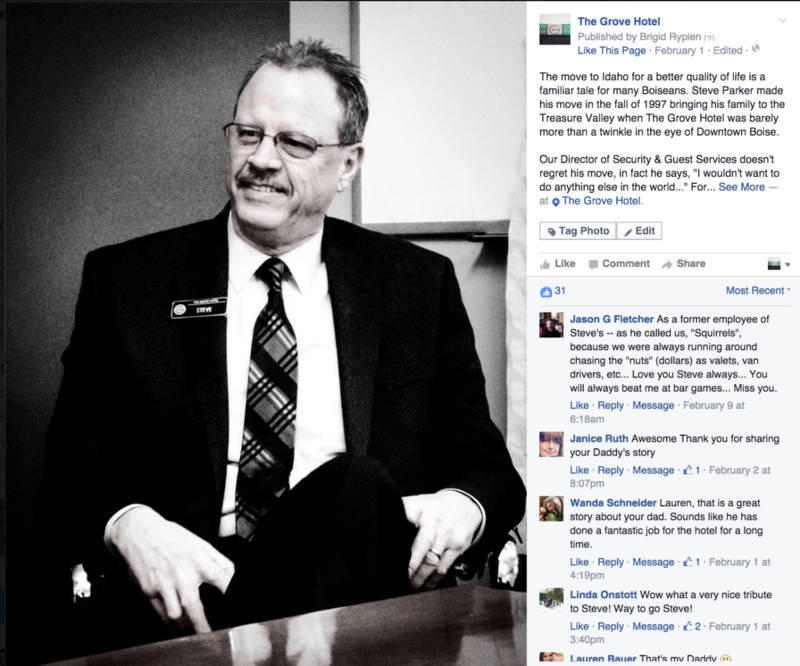 Facebook: Started a #MeetUsMonday campaign that led to the historically highest engagement numbers for the hotel page. 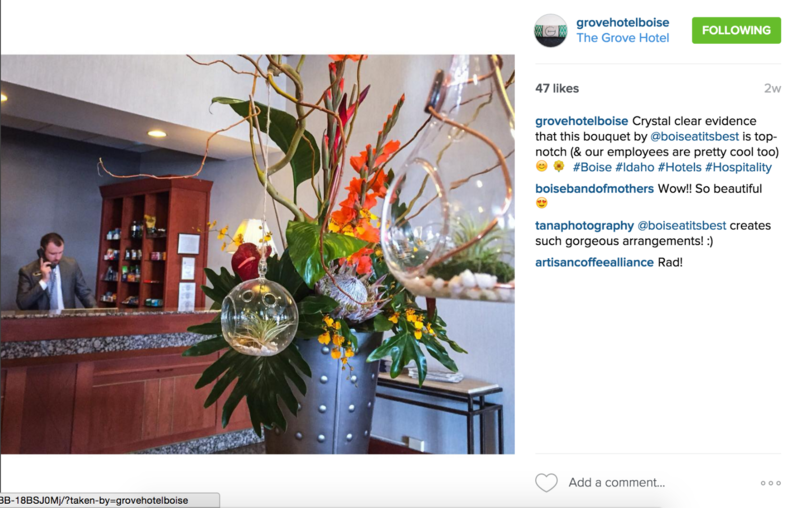 Instagram: Actively looked for opportunities to capture real-time moments that told the story of the hotel through pictures. 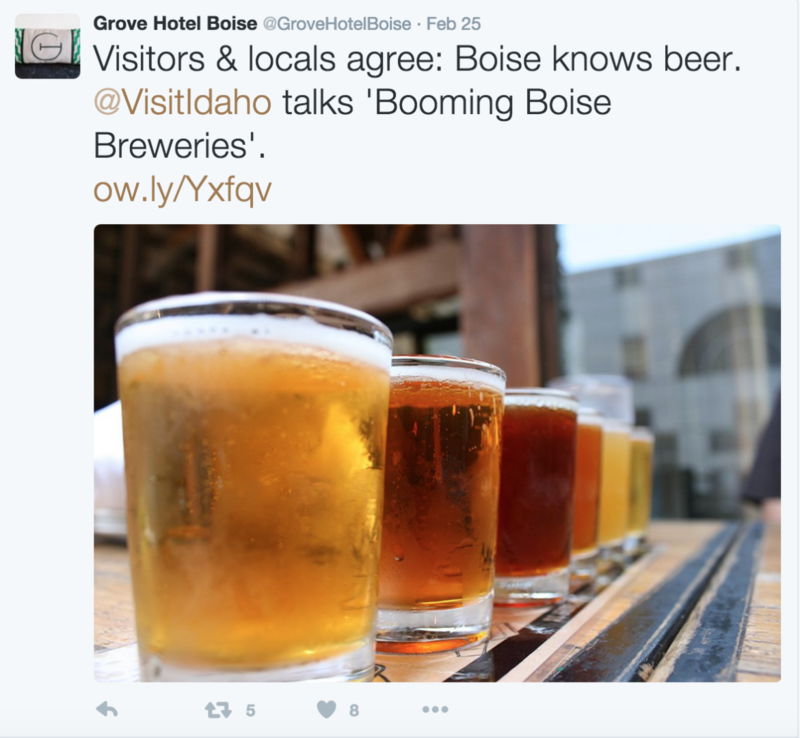 Twitter: Worked to organize daily content that excited the Boise community. If college taught me one thing it's that fitting in with company culture is key. Bodybuilding.com just seems fun. I want to be a part of something where everyone believes in what they do. I think I bring a skills set that is primed to get to work, learn and be CREATIVE.